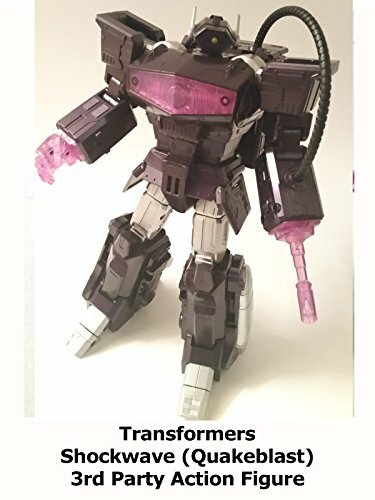 This is a Transformers Shockwave action figure made by Cloud 9 a third party company. Called Quakeblast in the packaging. Just a fantastic version of Shockwave in his G1 classic look. Well sculpted, articulated and very detailed. A fantastic addition to any Transformers collection.